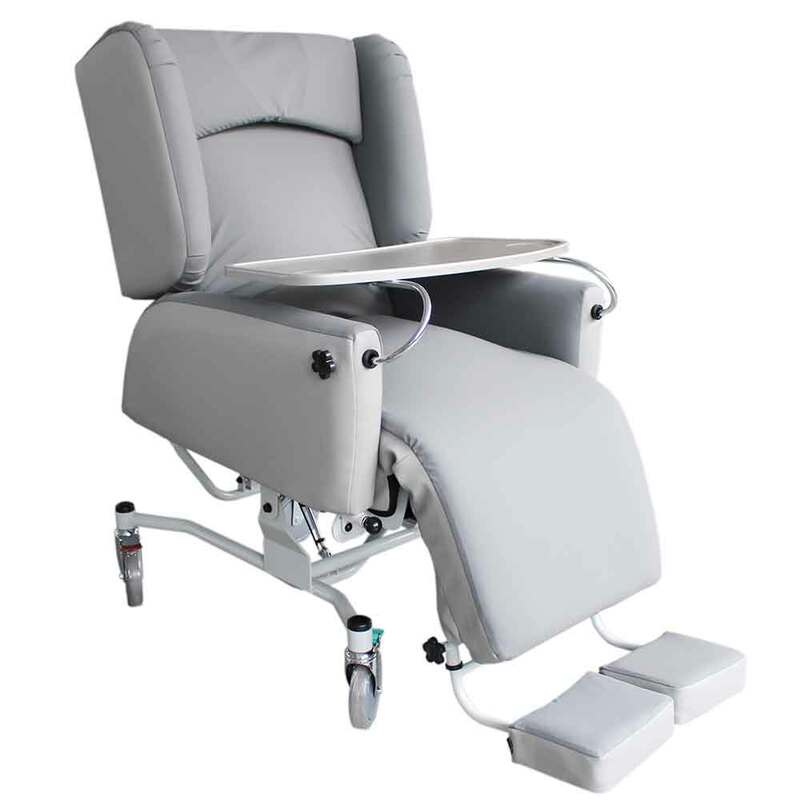 To make cleaning as easy as possible, this pressure relieving chair is covered in breathable, waterproof polyurethane. It can be reclined easily, even to a bed-chair position, and comes with safety features intended to help those caring for patients with dementia. The side wings can fold down for easy access and care, and is designed to be compatible with patient hoists for ease of transfer. It comes with a compatible dining tray and a pillow, and uses not one but two stacked pressure cushions. If you're looking for pressure relief and need performance, adaptability, and a chair that will make caring for very frail patients as simple and non-disruptive as possible, this is an excellent option. Purchased this for my elderly Mother as recommended from her carer. This has given her a much better quality of life than only being able to sit in a wheelchair for a couple of hours then back to bed. She can now sit very comfortably and with no worry of pressure sores through the day. Very well made and good quality .